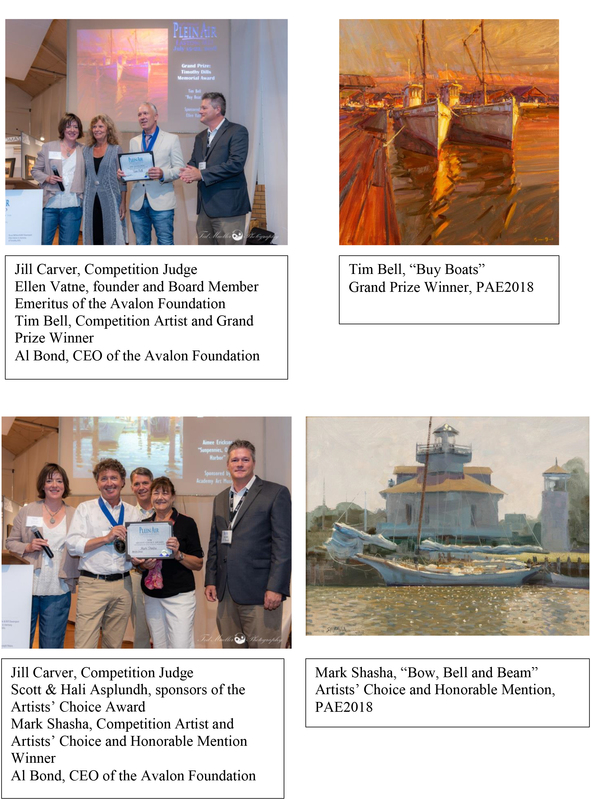 The week kicked off with a Pre-Competition Paint Out in Tilghman on July 12; Patrick Saunders took home the $1,000 Artists Choice Award, sponsored by Tilghman Watermen’s Museum. The exhibit, display and sale of the day’s works was hosted by Wylder Hotel that same evening. The following Saturday, competition artists could be found at the party of the summer known as the Meet the Artists Party. Art was celebrated in grand style while artists spent the afternoon painting on the private estate of Dr. Wayne Hockmeyer in Talbot County. Art collectors were escorted throughout the waterfront property to peruse the canvases in progress. The evening culminated in a gourmet farm-to-table dinner and an exhibit and sale of the day’s work. Paint Oxford was the next event on the schedule and took place on Sunday, July 15. 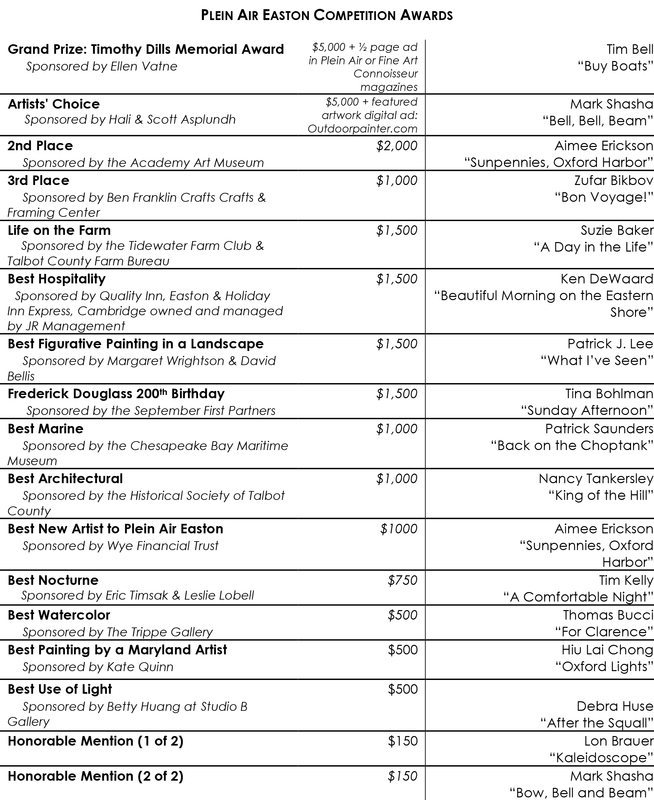 This popular event, which is free and open to the public, hosts the competition artists throughout the day in Oxford and finishes in an exhibit, sale and its own $1,000 Artists’ Choice Award presented by the Oxford Community Center in partnership with the Oxford Business Association. Patrick Lee was the Paint Oxford Artists’ Choice winner. The final weekend, July 21 and 22 bustled with excitement in addition to heavy rain during the Quick Draw Competition. The Tidewater Inn saved the day with the use of their Gold Room for the exhibit and sale of well over 150 paintings that were painted just two hours prior. 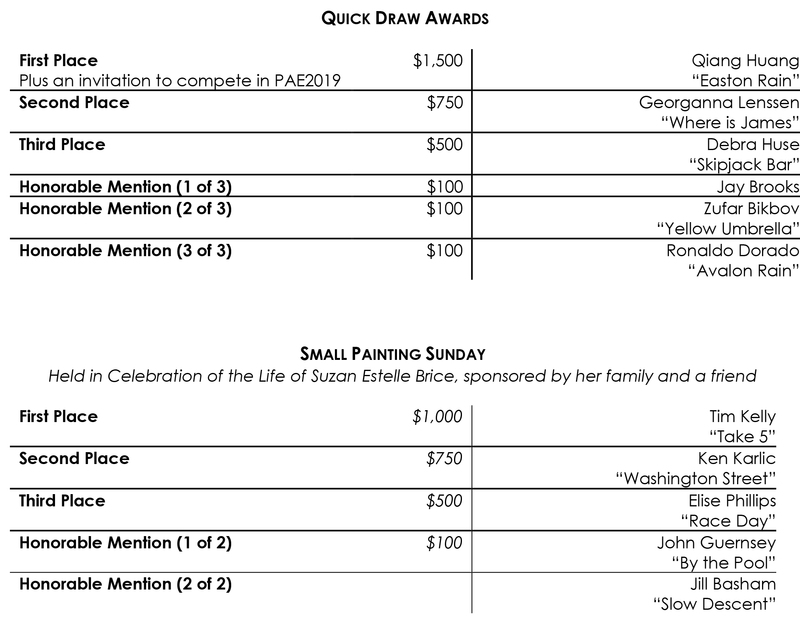 Plein Air Easton is a juried competition; however, winning First, Second and Third Places, Artists’ Choice, and First Place Quick Draw also comes with the honor of an invitation to the 15th Plein Air Easton competition which is scheduled for July 14-21, 2019. 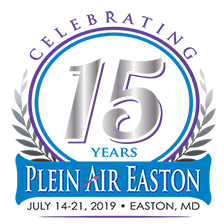 Donations from Friends of Plein Air Easton support the event while promoting conservation and tourism through the arts. Plein Air Easton is the work of the Avalon Foundation, a nonprofit organization whose mission is to provide diversified arts and educational programs that improve the quality of life in the Mid-Shore region. Support for Plein Air Easton is provided through various corporate, media, and community sponsors, including the Maryland State Arts Council, Talbot County Arts Council, in addition to those listed above. Visit pleinaireaston.com for details, upcoming events, videos and galleries of competition images.